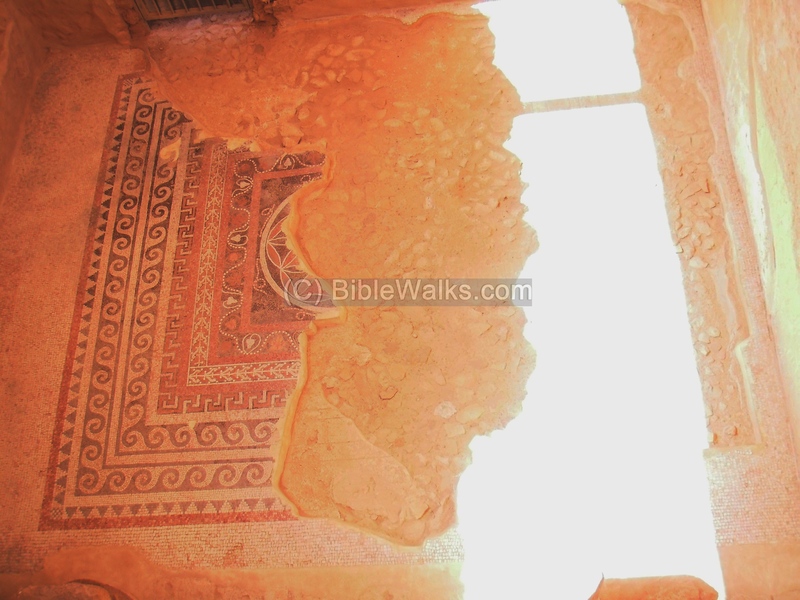 This web page provides an overview on Mosaic floors, and lists the pages that feature ancient mosaics in Biblewalks.com. 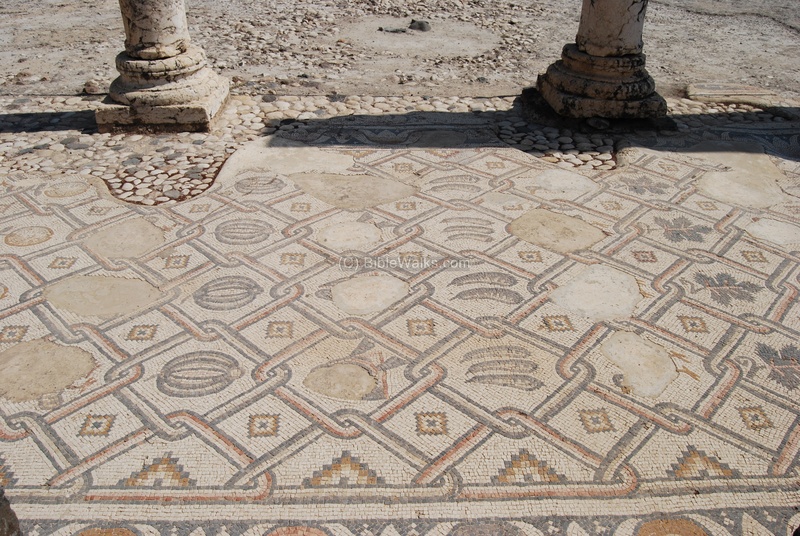 Mosaics were a common architecture element during the Hellenistic, Roman and Byzantine periods. 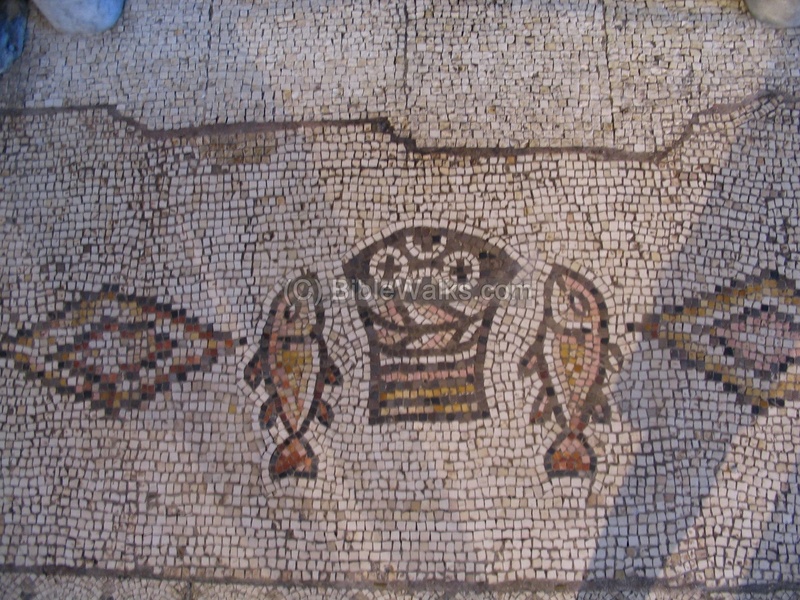 The mosaics were used to decorate most of the the public, religious and residential buildings . 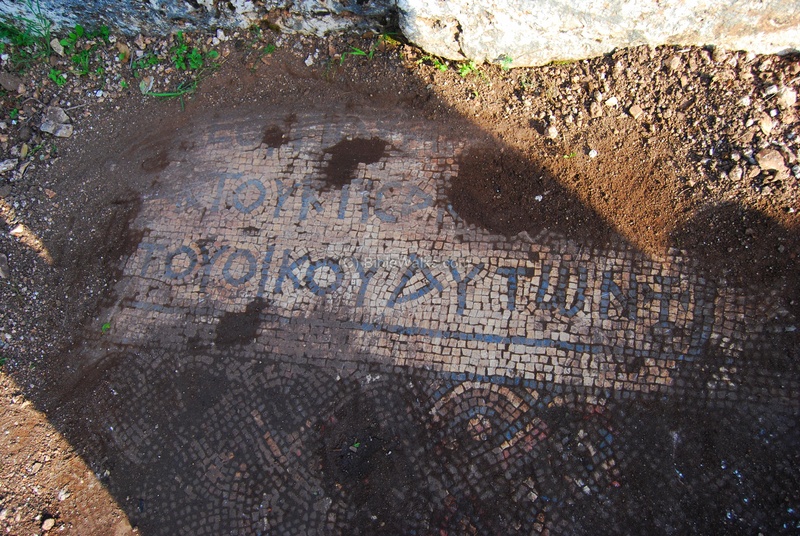 The mosaic floor, which was designed and laid out by special artists, is composed of thousands of colored stones which were laid out on a layer of cement. 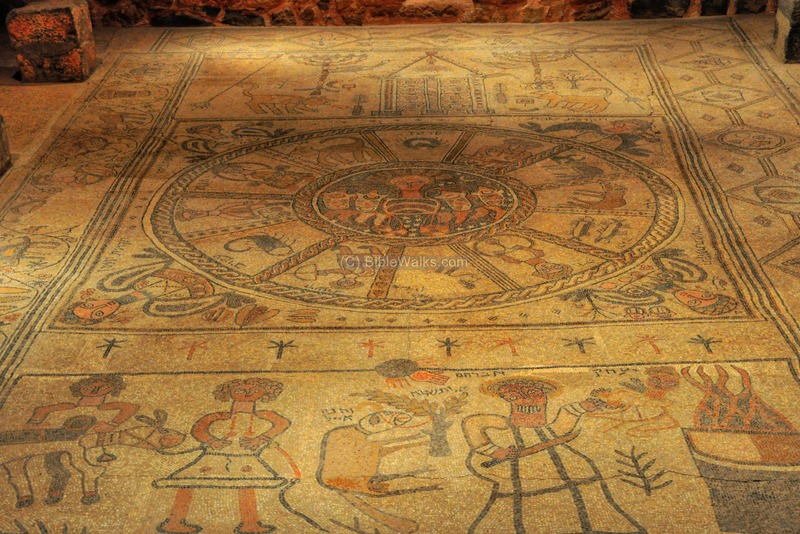 The mosaics depict Biblical scenes, Jewish and Christian symbols, inscriptions, nature scenes, Greek mythology stories and heroes, and other paintings. 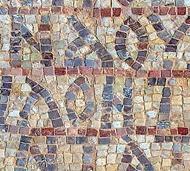 The following web pages and sites have a greater number of mosaics, and are recommended for further review. 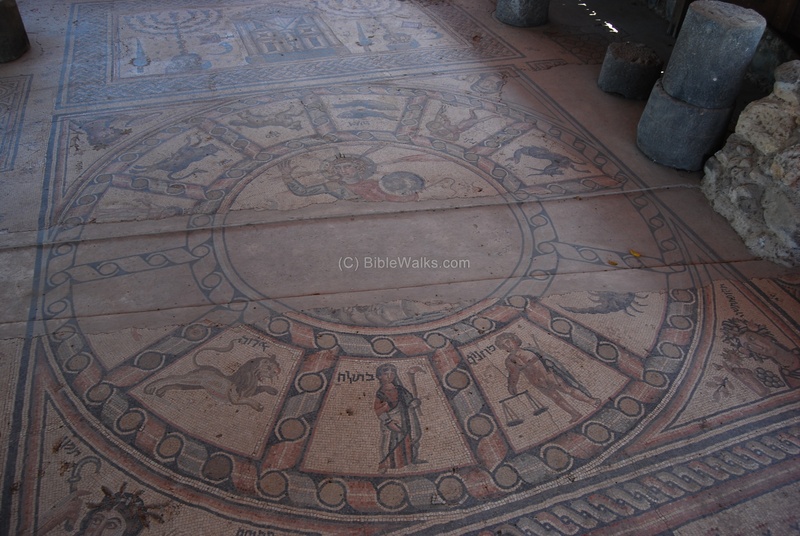 Hammat Tiberias 5th C Zodiac mosaic. 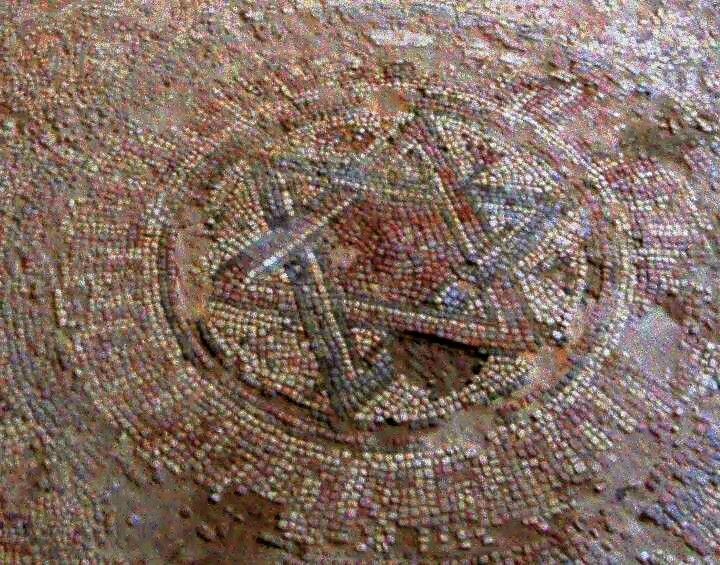 A unique museum has opened in 2009 in Ma'ale Adummim, on the side of the Jerusalem-Jericho road. 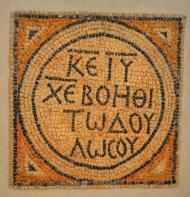 The museum is located on the site of the ancient inn (Khan) of the Good Samaritan. 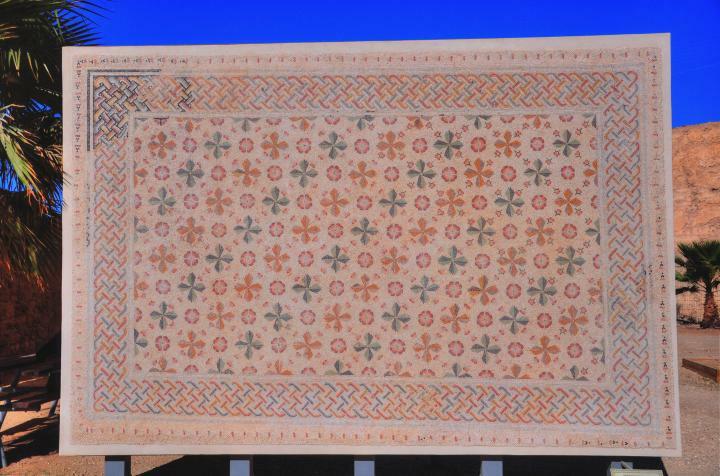 The museum displays archaeological findings which were excavated in the West Bank and Gaza. 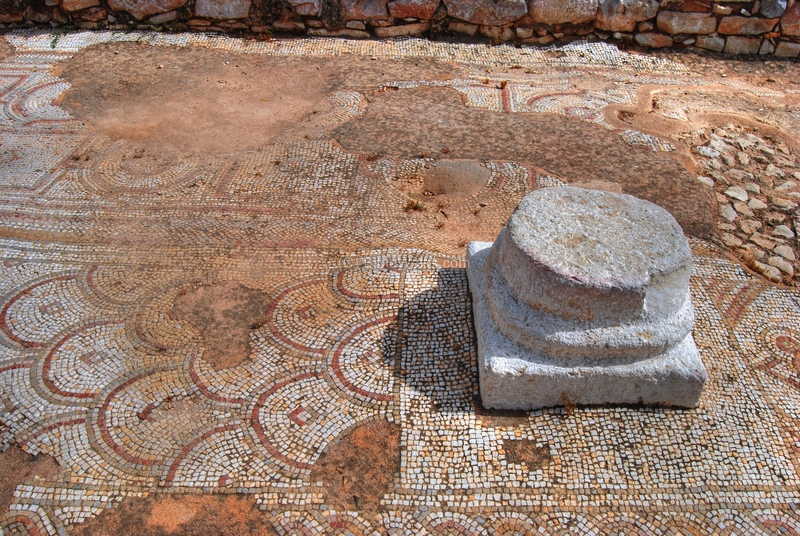 The museum has both an outdoor and indoor sections, and the majority of the findings are sections of the mosaic floors collected from different sites.